I love the changing colors during the fall. I grew up in Minnesota and we had SO many beautiful colors. Now that I’m in Colorado we just don’t have nearly the colors other places have and I miss that. 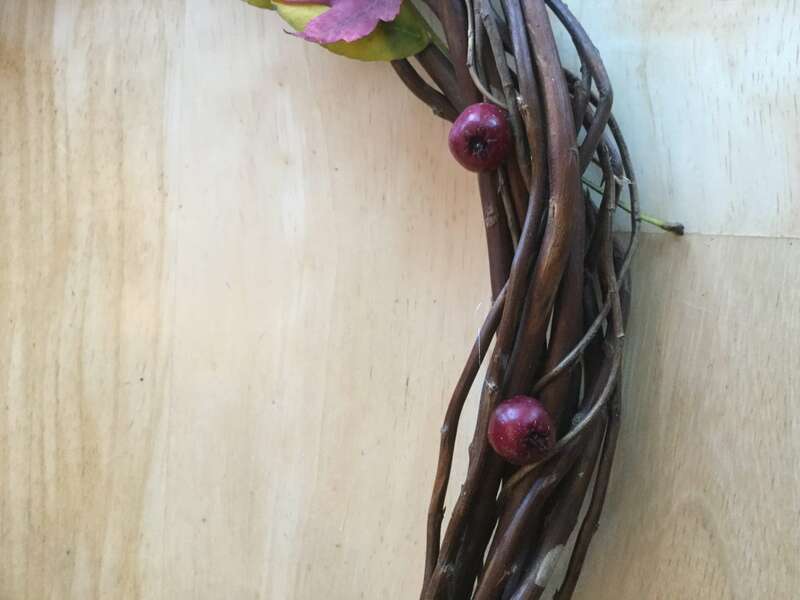 You can preserve the beauty from outside and use it in a craft. 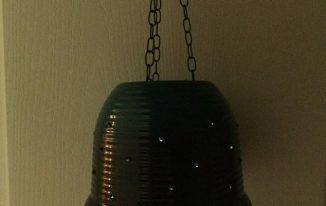 This project will cost almost nothing to make because you are using items just outside your door. Go outside and collect some leaves. 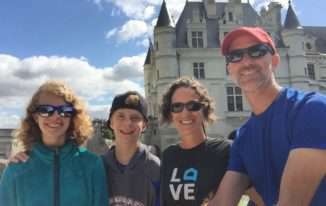 What makes it better is you are going for a walk and getting exercise while doing it, have your kids/grand kids get involved – it’s a fun adventure! 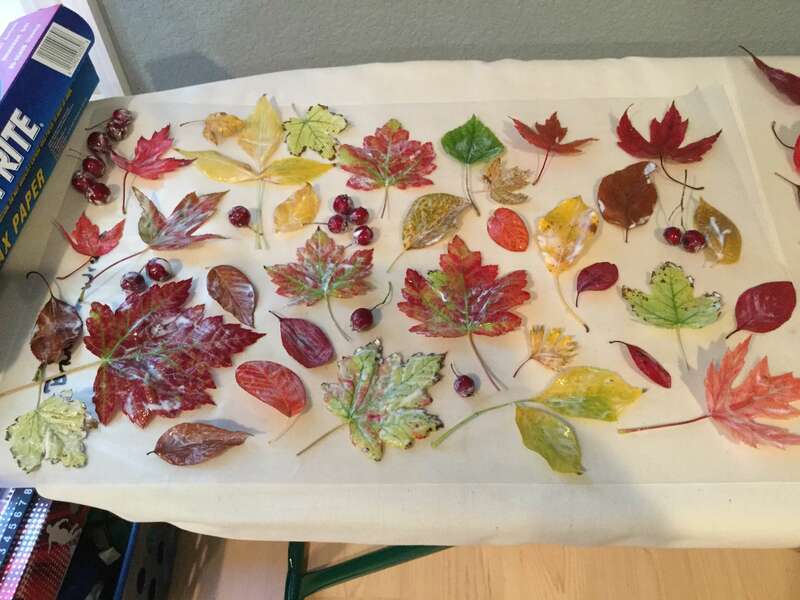 You can use your leaves as they are or you can preserve them to keep the color. If you leave them natural they will curl and change color as they dry, but it can be a beautiful and natrual look. 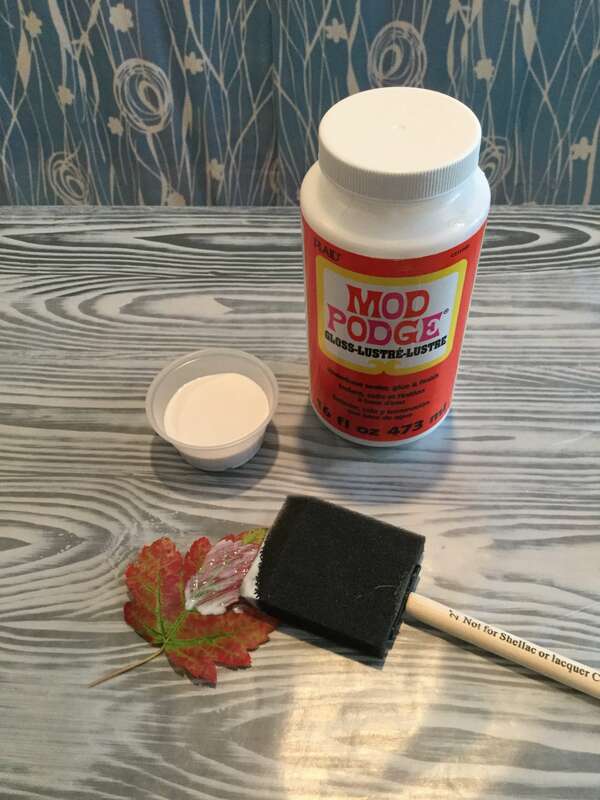 To preserve them you’ll need some Mod Podge and a paint brush. You’ll need to do this step as soon as possible after collecting the leaves. This will preserve the color the best. 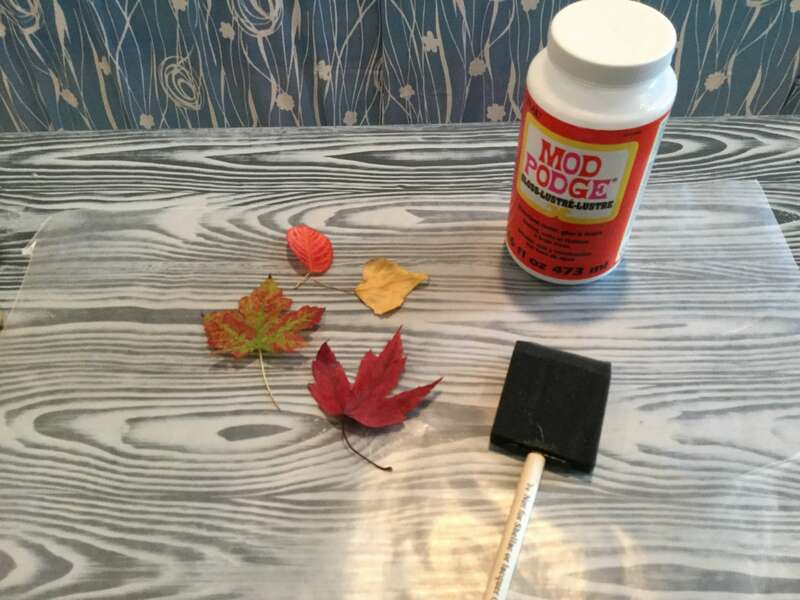 After Mod Podging the leaves, let them dry completely. 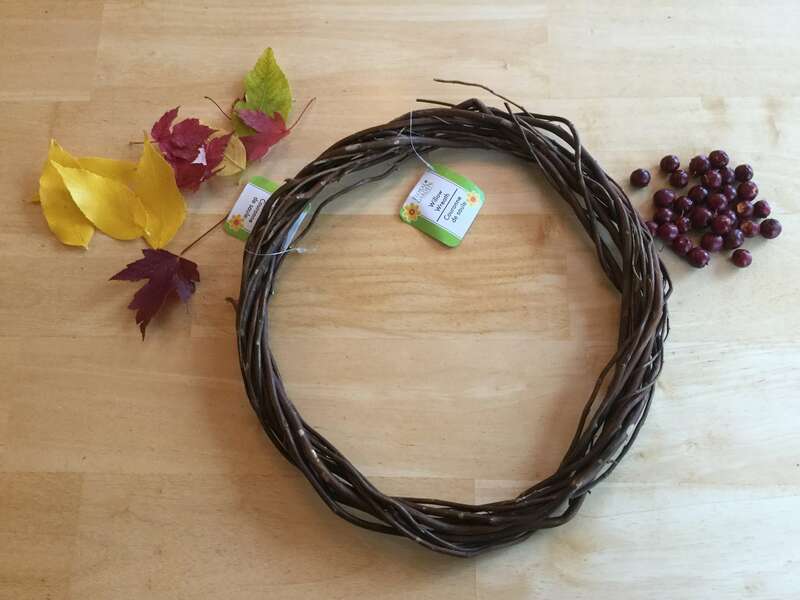 Using a grapevine wreath (or wreath form of your choice), start placing your leaves where you would like them to go. 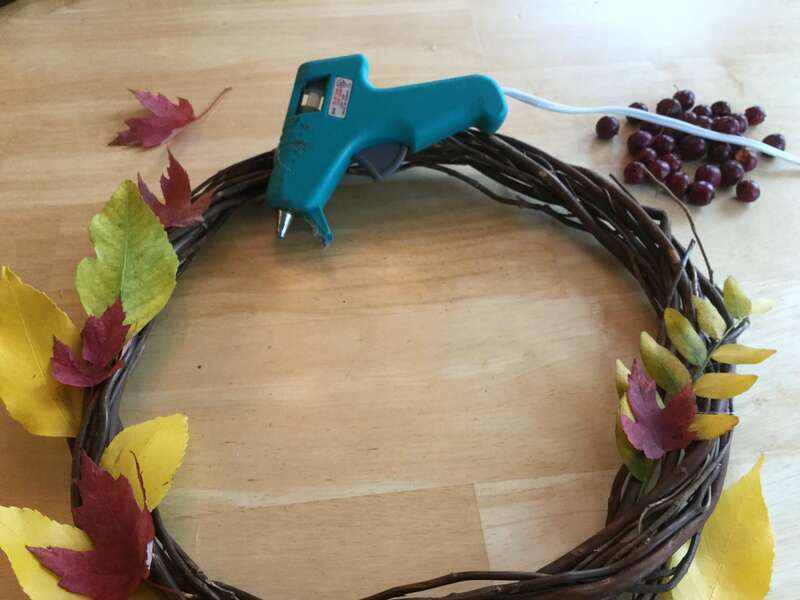 Once you are ready, use a hot glue gun and start gluing your leaves into place. 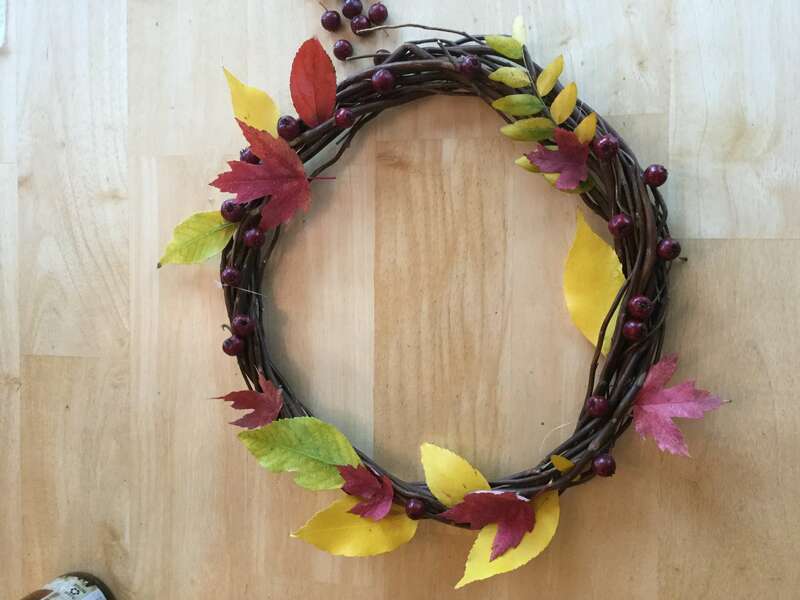 Once your leaves are in place feel free to incorporate some berries or other things if you like. Keep working around until you get the desired look you want. 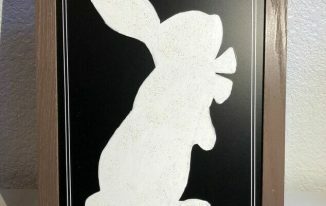 Give it time to rest and make sure the hot glue hardens completely before hanging it up. When you are ready – hang it where ever you want. 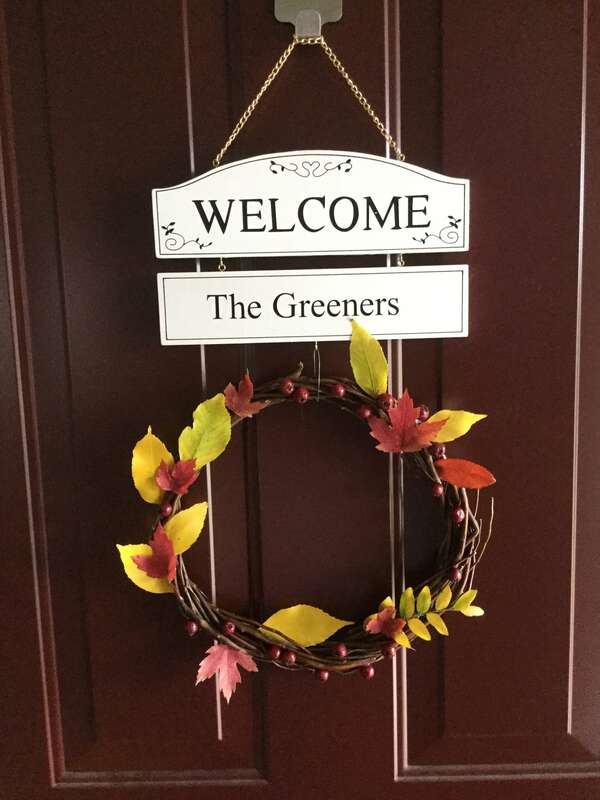 This is such a sweet wreath! I love that it isn’t inundated with stuff. 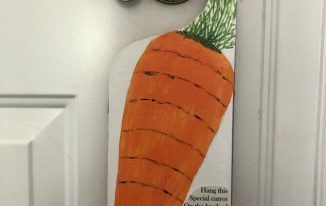 Hanging it under your door sign is perfect. 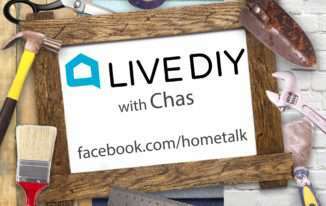 Thanks so much for sharing your DIY with us at Merry Monday this week! Thank you Marie, I’m new to blogging and it is so nice to have the invitation to join and kind words – thank you! Good morning, my friend! 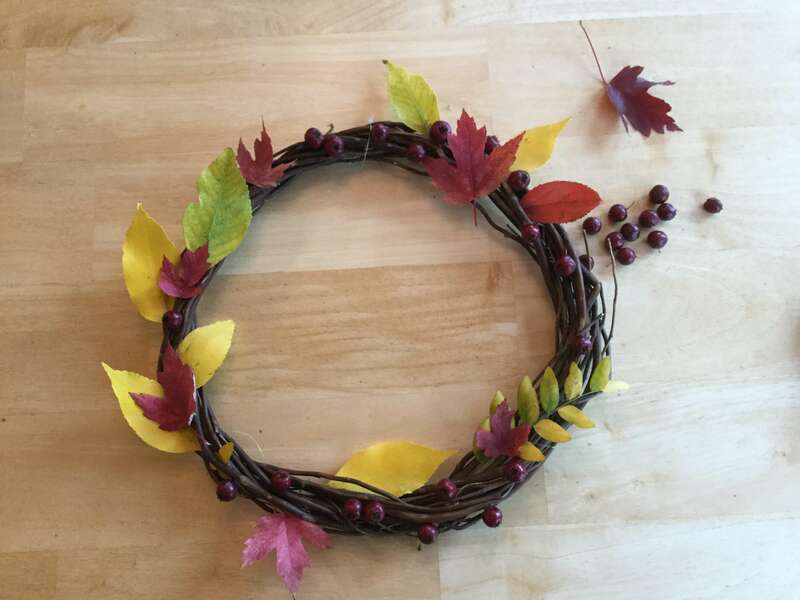 I think your wreath is simply perfect for autumn. I love the simplisitc beauty of it and the colors are lovely. Wishing you a wonderful day! I received your email and will write you soon 🙂 HUGS! Thanks Stephanie, I’m so glad you like it. I love how fall is so easy to decorate with all of the natural things we have outside 🙂 Hugs back to you my friend! 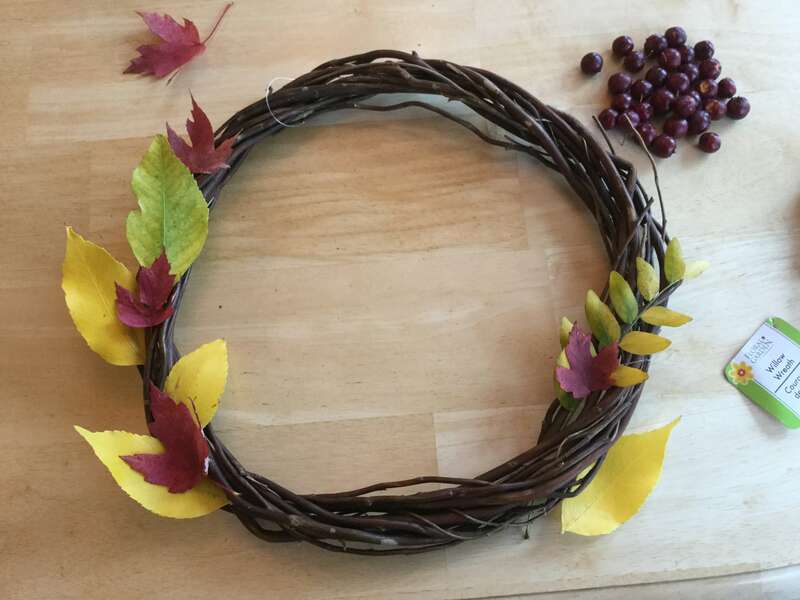 I love the ease and simplicity of this wreath. Our leaves haven’t changed yet, but the local park down the street has lots of acorns that would also work instead of berries. 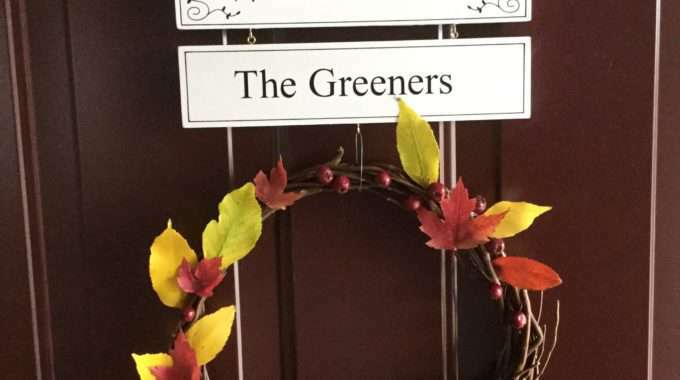 Then when the leaves turn we could add the color. So pretty.